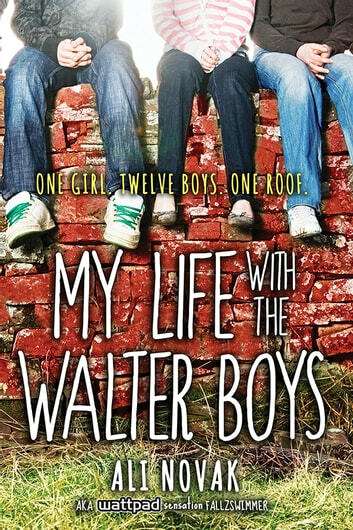 From a fresh new voice on the contemporary YA scene, My Life with the Walter Boys centers on the prim, proper, and always perfect Jackie Howard. When her world is turned upside down by tragedy, Jackie must learn to cut loose and be part of a family again. 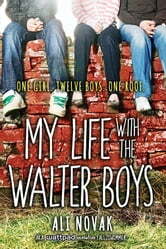 Ali Novak wrote My Life with the Walter Boys when she was just 15 years old. First a hit on the online community Wattpad, this debut novel has already been read over 33 million times and is loved by readers around the world. I love this book. I could not put it down until the very last page but when I got there I still wanted more. I hope she write another book about the walter family. I have read both the original version on Wattpad and the published version and though there's not much difference I still loved re-reading Jackie and the Walter Boys story for me it was an easy read and would recommend it to anyone who's looking for a light book. This book is incredible, the way it described every situation perfectly, not only the scenery where actions took place, but also the way Jackie thought about everything and analyzed every situation; this is a book that I really enjoyed reading. I remember I first read this when it was uploaded on wattpad. It is an awesome story. A real page turner. The characters are relatable and exciting.